OMG! The Things I Learned That Will Benefit Your Job Search and Career! First of all, don’t you just love Seattle? The fall foliage and changing colors are quite a welcome change from the desert brown that I’m used to in Phoenix, AZ. 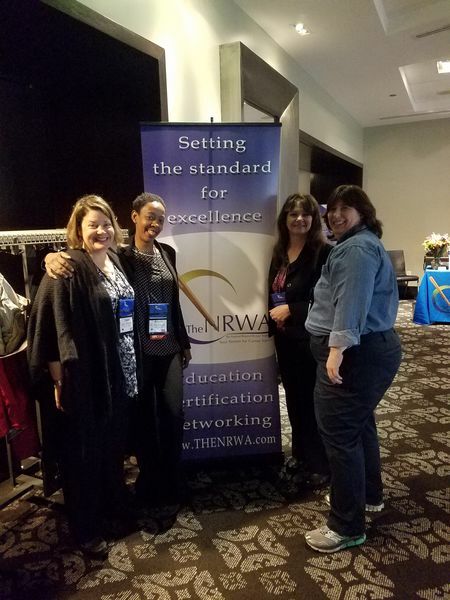 Although it was mostly raining and cold for The National Resume Writers’ Association conference, it was magnificent because I had an opportunity to reconnect with old friends and colleagues, impart new knowledge onto my peers, and gain some insights on what the future holds for your resume and career. I will be sharing my top highlights and takeaways with you because I still care about your careers, and I am even better equipped to help you navigate the competitive job search terrain. ONE | You as a job seeker can view applicant insights after 10 people have “Easy Applied” through LinkedIn. This can be very telling to see how you stack up. TWO | Yes, resume software and templates do exist but know this…they cannot always help you win with resume scanning software (Applicant Tracking Software) and they most certainly cannot encourage you or extract the right details out of your stories. Artificial Intelligence (AI) is real, but human is still better. THREE | The top professions most likely to be taken over by robots in the next 20 years: Telemarketers(already happening), Accountant and Auditors, Retail Sales Professionals(i.e. Amazon), Real Estate Agents(Open Door and other streamline selling solutions). But don’t worry if your occupation is on this list shared by Ms. Prospero, just get busy understanding how you’ll contribute to the development of the technology, so you’ll stay relevant even when the robots come. FOUR | Be a real person, not a grey box. It’s still super important to have a nice, non-selfie profile picture on LinkedIn (and wherever you are searching). FIVE | Not all recommendations are helpful. If you have old, irrelevant recommendations on LinkedIn that speak to an older profession…get in there and hide those so your more helpful comments can be highlighted. I hope you enjoyed these, visit www.pushcareermanagement.com to subscribe to our mail list where I’ll be publishing even more helpful hints, and/or click here to schedule a consultation with me.